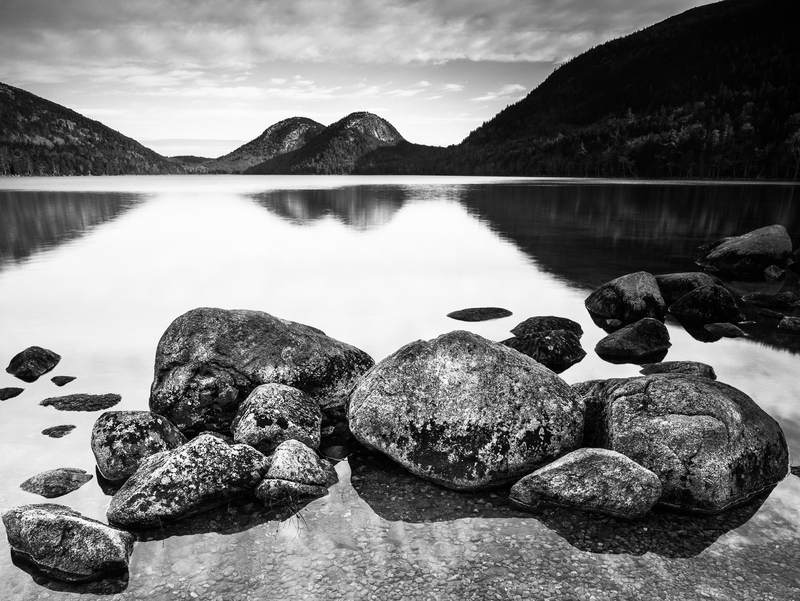 Acadia's place of zen. Peaceful morning air brings calm waters to Bubble pond. Photo © copyright by Lance B. Carter.